This baby has been on NYC CL for 5 years @ $750.00. Yes it is fugly in a who knows-what-cabinet? 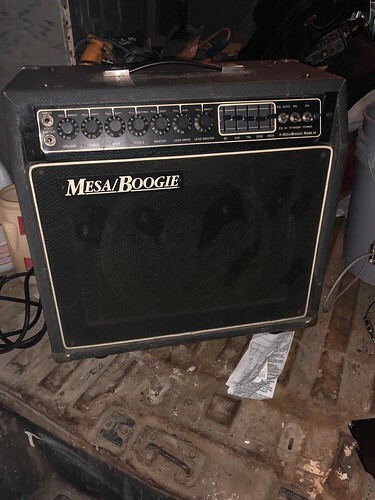 $600.00 was agreed on, I got to his apartment a little early and went in while he dug it out of storage, (his ad on CL had no pictures but from the wording in the ad, I knew this amp) and as soon as he took the cover off, it was like seeing an old friend. 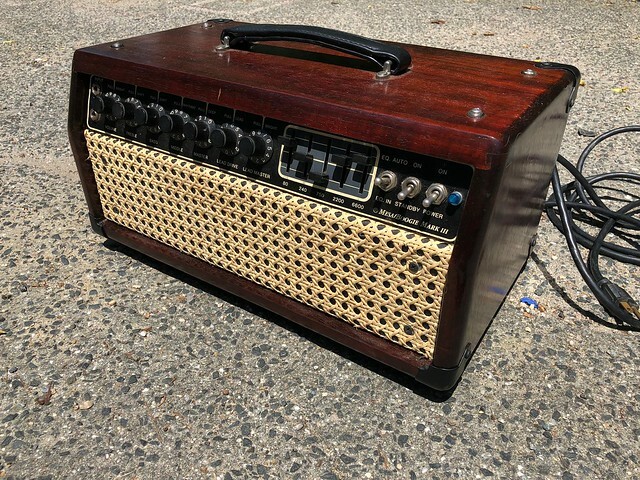 Anyway, I have a Padauk and wicker head shell to throw it in and I love $200.00 EV speakers. Now if I can figure out what brand of cabinet I have, I'll get $50-$100 for that. It came with a 4 button VDMIII-4 Voodoo man foot switch, another $20-50. So with about $350.00 in extras, basically I paid $250.00 and if I list it in the W&W head shell, it will sell today +/- $1,000.00. Good deal IMO! An amp sounds only as good as it looks! Ha-ha!!! 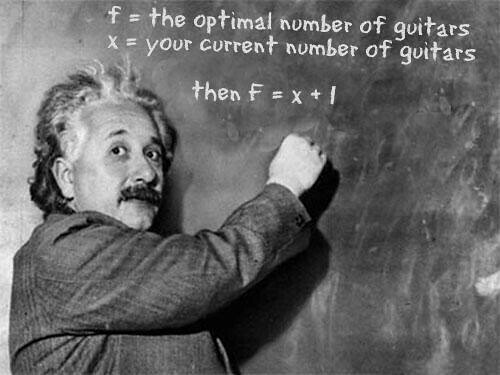 "How many guitars and amps do you really need?" The amp look’s good! 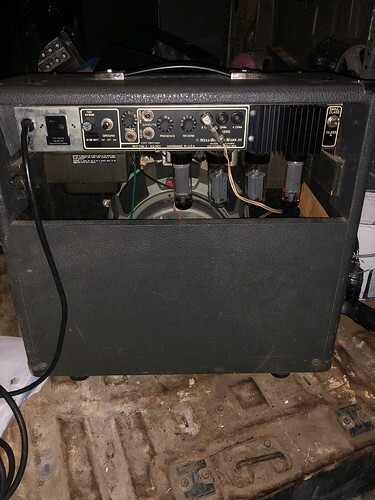 I agree an amp only sounds as good at it looks. That’s why I had Mike B. replace the blue pilot light on my lll+ with a red one. The red light sounds much better. When someone asks me how many amps or guitars do I really need I know it’s time to buy another amp or guitar. I joked with Mike B. about needing an intervention to stop buying amps and he suggested I go to an AA meeting. Amplifiers Anonymous. Nice! My Black Dot should get to Mesa tomorrow. It’s getting the lll+ mod and service. One day I’ll figure out how to post pics. Looks killer in the headshell! 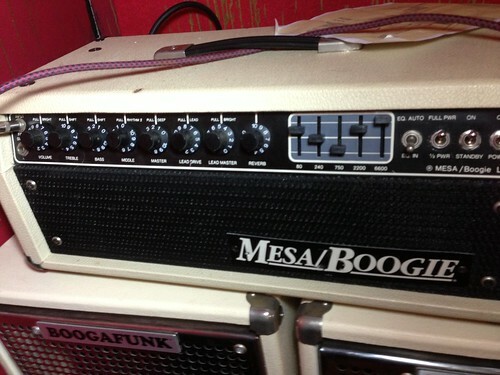 Reminds me of a 70's/80's Carvin cab. I figured out what brand the empty shell is- Traynor!